Do you have a trouble spot in your yard ? One that gets less light and grows bare? Then relax! 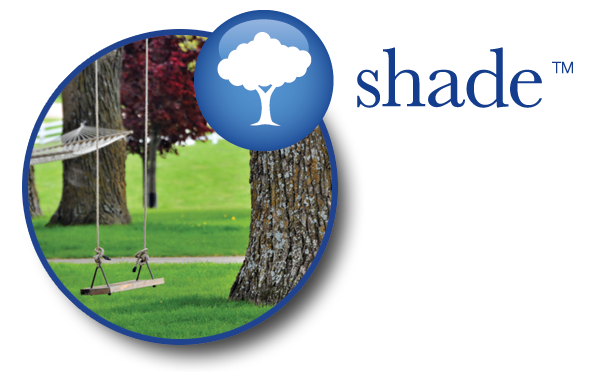 Harmony Shade was created for areas with less than full sun. This specialty variety was carefully cultivated to meet the needs of lower light areas of the lawn. And it shares many of the other benefits of the Harmony family, e.g. drought tolerance, disease resistance, and ability to grow in both warmer and cooler climates. Once you put in Harmony Shade, you simply need to set up your hammock and begin to enjoy your outdoor life. At Harmony, our commitment is to continually research and enhance our grass varieties to provide the most suitable, sustainable and beneficial turfgrasses to better enjoy your outdoor lifestyle. Harmony Home is available in both Lowe's and The Home Depot as well as leading home and garden centers. To find out how much sod you need for your home, use our easy sod calculator. Need to order some Harmony Turfgrass? Our store locator will provide the nearest store and phone number for easy reference. Have a question about your lawn or sod installation project? Just ask one of our pros or search our blog post for frequently asked questions.